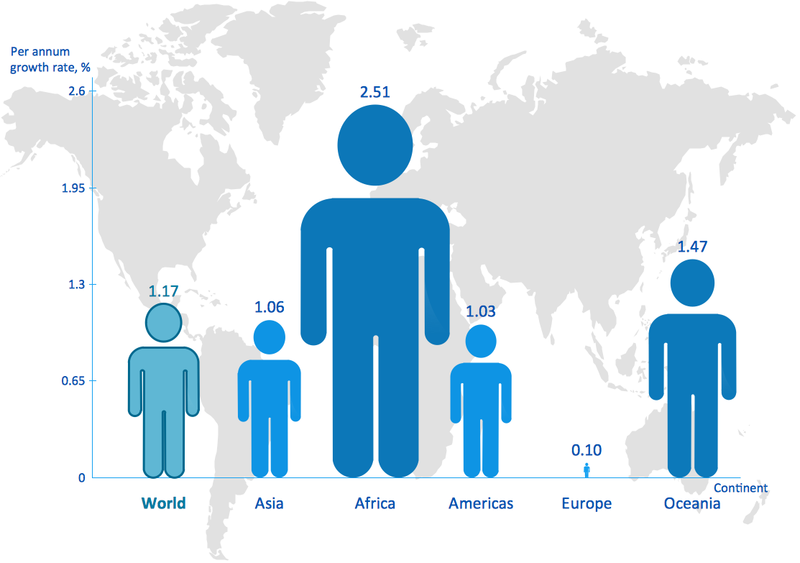 A Picture Graph is a popular and widely used type of a bar graph, which represents data in various categories using the pictures. ConceptDraw DIAGRAM extended with Picture Graphs solution from the Graphs and Charts area of ConceptDraw Solution Park is the best software for fast and simple drawing professional looking Picture Graphs. Picture Graphs Solution offers wide variety of predesigned templates and samples. You can find them all in ConceptDraw STORE and open the desired for editing. If you didn't find a suitable sample or template among the offered by Picture Graphs solution - let's draw your own Picture Graph using the ready-to use vector objects from the Pictures Graph library. Use the Picture Graphs Solution for ConceptDraw DIAGRAM software to create your own professional looking Picture Graph of any complexity quick, easy and effective, and then successfully use it in your work activity. The Picture Graph designed with ConceptDraw DIAGRAM are vector graphic documents and are available for reviewing, modifying, converting to a variety of formats (image, HTML, PDF file, MS PowerPoint Presentation, Adobe Flash or MS Visio), printing and send via e-mail in one moment. What is a Picture Graph? It's one of the most useful way which allows explain the information, statistical data in a visual form using the pictures. 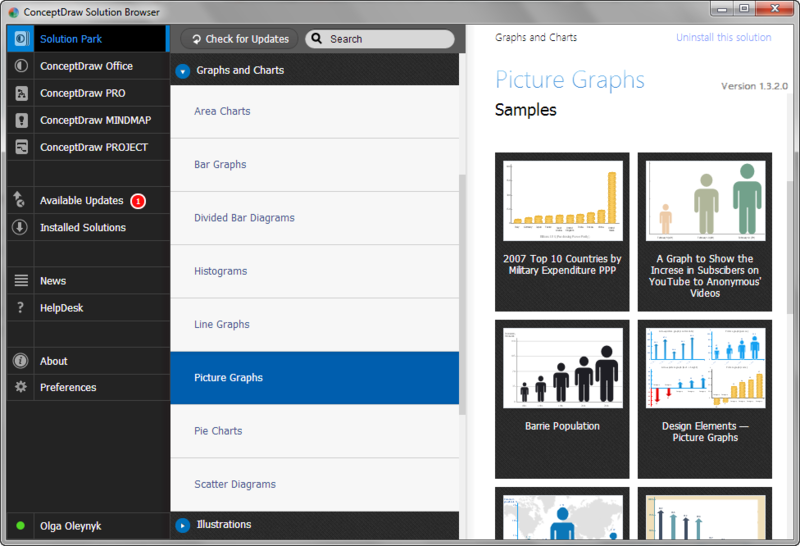 ConceptDraw DIAGRAM v12 extended with Picture Graphs solution from the Graphs and Charts area offers you the easiest way of Picture Graphs drawing. 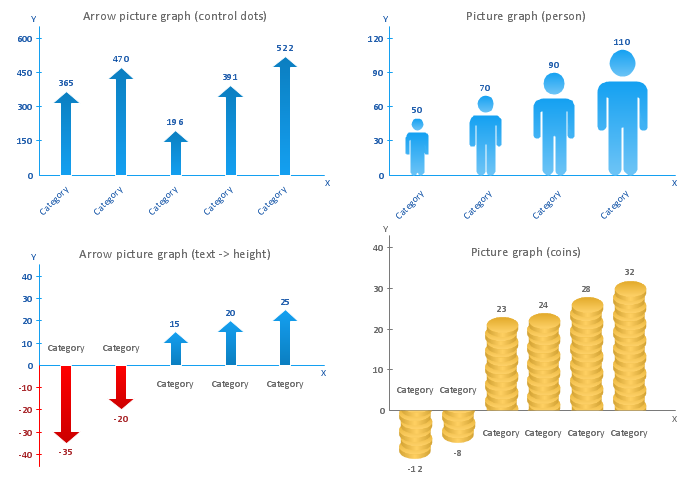 Picture: What Is a Picture Graph?